Pick-Your-Own Flowers at Garden Sweet! Plan your next ladies' day out or family fun trip! Looking for flowers for your wedding or next event? Stroll through rows and rows of beautiful blooms while filling buckets of fresh flowers and creating one-of-a-kind bouquets that are unlike anything you’ve ever seen! 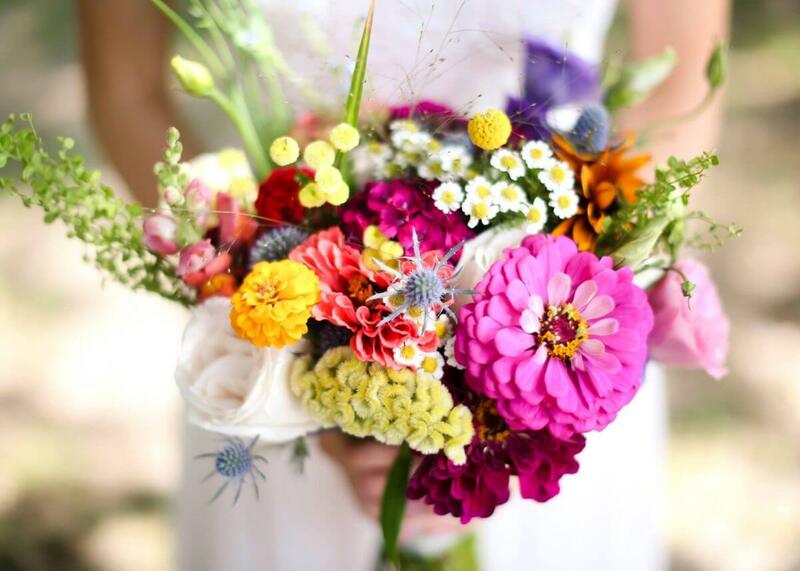 From July-September the fields are in full bloom with a large variety of different flowers and an entire spectrum of colors that will give you the creative freedom to make the perfect bouquets, centerpieces, and event decor to match your personal taste and color scheme! 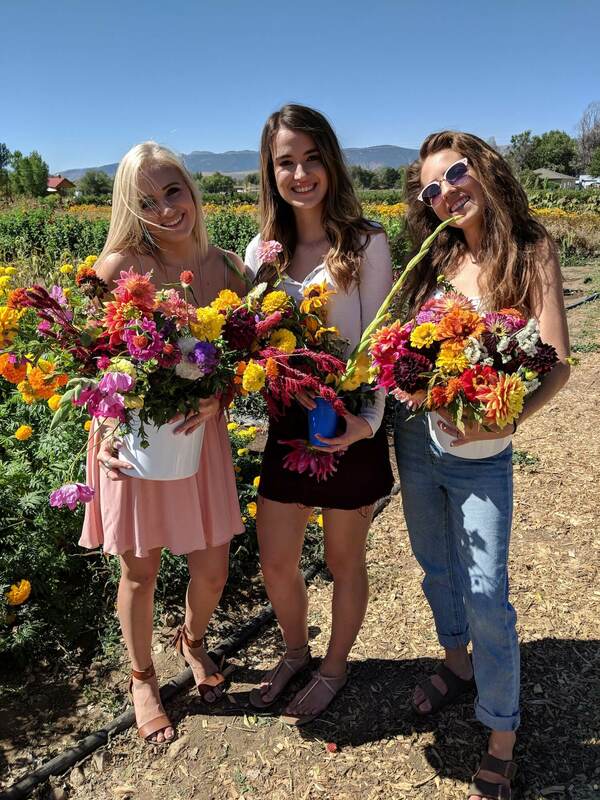 When you arrive at Garden Sweet to Pick-Your-Own Flowers you will be given take-home buckets filled with cold water, scissors, beautiful fields to explore, and endless flowers to cut. Our 2-Gallon buckets are $30 and will hold approximately 60 stems depending on the size of the flowers. 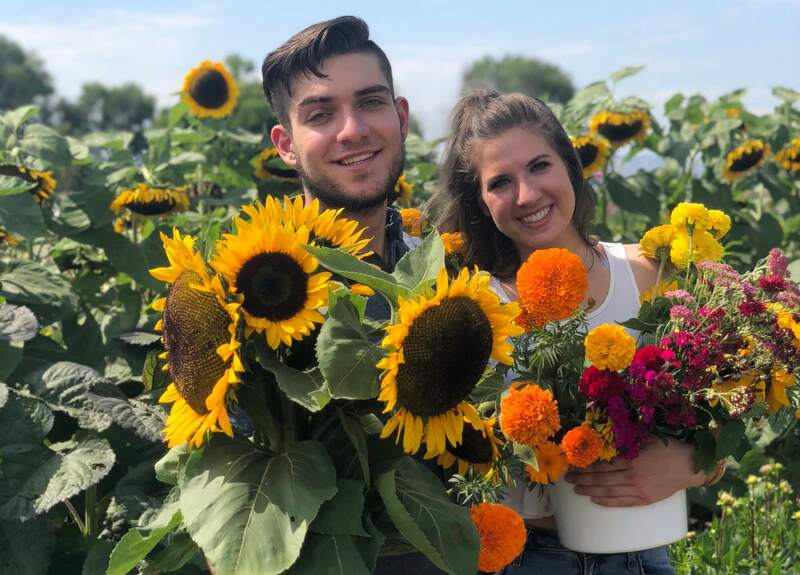 By picking your own flowers at Garden Sweet you get super fresh, local, sustainably grown, seasonal flowers that will leave an exquisite and lasting impression on your special day! Visit A Week In Advance – Brides should visit the gardens a week in advance to see what flower varieties and colors are blooming or soon to bloom. Consider picking and arranging a sample bouquet to share with your helpers! Unfortunately, we can’t guarantee a specific flower variety or color at any given time. Plan Ahead – cut flowers early in the day and as close to the event or wedding day as possible for the freshest and most beautiful blooms. Bring Friends – Make your visit more memorable and enjoyable by bringing a friend or your bridal party to help! Keep Cool and Shady – Once the flowers are cut they should be stored in a cool place out of direct sunlight. If you would like us to store them in our cooler until the day of your event, there is a small storage fee. Open July-September 10 am to 5:30 pm for members and non-members. Garden Sweet’s flower fields offer rows and rows of beautiful flowers that change with the season. There is always something new to pick! 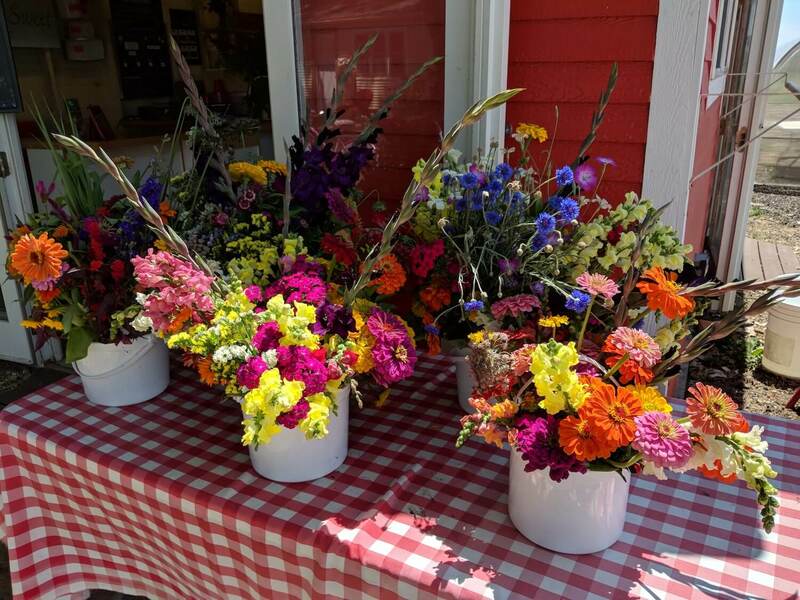 Spend your Summer afternoon among a sea of color crafting your very own fresh flower bouquet with local flowers that you won’t find anywhere else! Bring your friends and family for this one-of-a-kind experience. 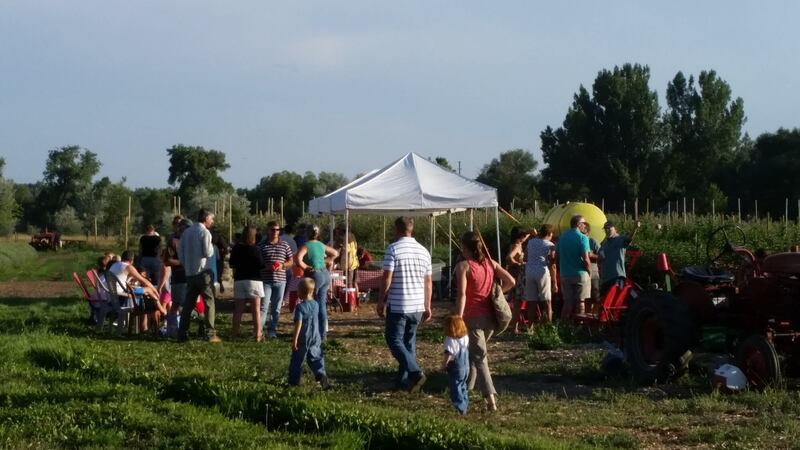 Visit the farm stand for picking conditions and pricing. Cut flowers to your desired length and fill up your cup or bucket! Strip off any leaves that are below the water line to keep it fresh. Keep the water level in your vase high with cool water- they drink a lot during the week! Change water after a couple days or if it becomes cloudy and brown. Keep flowers in a cool place for the longest lasting blooms!